This sounds like a wonderful book! 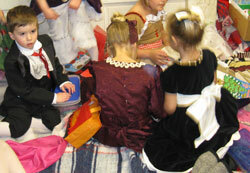 I love that your little ones are in the Nutcracker! I will be sharing this post tomorrow on the Read.Explore.Learn. Facebook Page. Have you read Isadora's book "Max" -- about a boy who goes to his sister's ballet class as a way to warm up for his baseball game? This sounds great too, I haven't read it yet. Thanks for sharing at The Children's Bookshelf. I'm pinning this, too. This post is so timely for us. 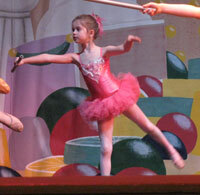 We are starting a Nutcracker week on Monday. Then we will go see a live performance at the end of the week. I haven't read this book yet, but it is in the set I will be picking up from the library this weekend. Glad to have your thoughts on it! We really enjoy Rachel Isadora but haven't read this particular book yet. I will have to check for it at our library! Thanks for linking up to The Children's Bookshelf! It looks like a delightful book to read. How exciting that both of your kids get to participate in a real ballet production! I really liked this book. The illustrations are gorgeous. The story gives a very realistic glimpse into the magic of being on stage and the work that goes into performing. 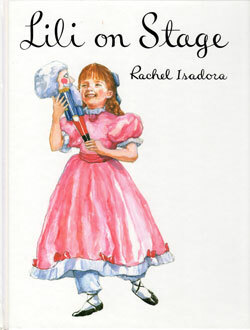 Rachel Isadora, the author and illustrator, is a former ballerina herself and she graciously lets us into this magical world. I'd recommend this and the other Lili books to any small dancer.